Hello! And welcome to the 482nd Digital Photography Review newsletter. Well, I'm writing this newsletter from a dpreview's plague-ridden Seattle office - it seems like everyone's coming down with a cold right now, including me, but we're not letting it get us down - there's work to do! Last week we published our long-awaited review of the Canon EOS 70D, and tons of samples from Sony's new A7 and A7R, and the Cyber-shot RX10. The talk this week is all about the new Nikon Df, a retro-styled 16MP full-frame DSLR that takes a lot of its design inspiration from Nikon's classic film cameras. The Df is a curious beast, covered in dedicated dials, but still fully compatible with 'auto everything' shooting with modern AF-S lenses. It's Nikon's first ever high-end DSLR to offer compatibility with non-Ai lenses though, meaning that practically any Nikkor lens manufactured since the dawn of the F mount will fit. I'm very taken with the Df, although I remain unpersuaded that its 'traditional' ergonomics really add that much value. There's a link to my first impressions review below. We know you've been waiting for this one for a while, and we're delighted to finally bring you our in-depth review of the Canon EOS 70D. With its Dual Pixel AF system and built-in Wi-Fi, the EOS 70D is an unusually radical departure for a series that's tended to progress fairly conservatively between generations. So how well does it work? Are these high-tech additions enough to fend off the competition from Nikon's very capable D7100 or Olympus's rather impressive E-M1? Read our review to find out. The Alpha 7 is Sony's latest full-frame E-mount mirrorless camera. It's identical to the A7R in almost every respect. The key difference: a 24 megapixel CMOS sensor with on-chip phase detection. We recently got our hands on a production model Alpha 7 and shot some real-world samples using the Sony FE 24-70mm F3.5-5.6 OSS, 35mm F2.8 ZA and FE 55mm F1.8 ZA lenses. The Sony RX10 is a 20MP zoom compact camera with a 1"-type sensor and a 24-200mm (equivalent) constant-aperture F2.8 lens. We were impressed by its features and handling when we used it recently, and this week we've been using a production-quality sample, in an effort to get a feel for what it can do. Click through for a gallery of real-world samples shot on the RX10 in a range of different environments and lighting conditions. We've updated our first impressions review of the Panasonic Lumix DMC-GM1 with our studio test scene showing image quality for both JPEG and Raw files. The new scene also offers downloadable Raw samples of both daylight and low light scenes. As always, you can compare the GM1 to a number of other cameras. The temptation to just go to bed and drink hot milk is strong, but there's no time for that - we're putting the finishing touches to our review of the Panasonic Lumix DMC-GX7 at this very minute, and work continues on the Panasonic Lumix DMC-GM1. We'll also be publishing more on Nikon's new Df, as well as some meaty roundups and buying guides for the upcoming holiday season. New at GearShop: Nikon has released the highly anticipated, classically designed Df full frame DSLR. 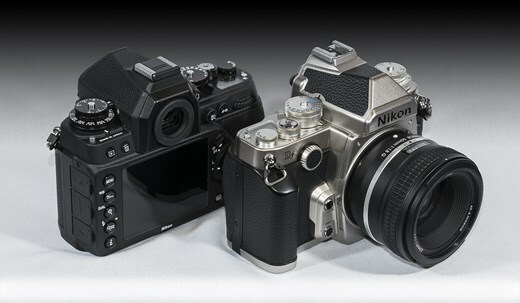 It takes operational and physical design cues from the classic Nikon F-series film camera line, with many of the guts of the flagship D4. Pre-order yours today. Stay on top of big discounts on our favorite gear by visiting our new Deals page! We'll be sure to keep it up-to-date, so you can get to work on holiday gifts for your loved ones (or yourself!). This week's best deals: In addition to the all of the opportunities to save on our Deals page, there are even more new promotions this week. Save $100 on the Panasonic G6 with 14-42mm II lens kit. Save $50 on some of our favorite Olympus cameras and lenses, including the PEN E-P5, the OM-D E-M5, and the 45mm F1.8 and 75mm F1.8 lenses. Plus, the silver award winning entry-level Nikon D3200 kit with 18-55mm VR is now only $499! Sigma has released updates for its SD1 and SD1 Merrill cameras - as well as for its Photo Pro software - to add support for the recently released 18-35 F1.8 DC HSM lens. On the camera side, the SD1 firmware update improves color in peripheral areas of the image when the aperture is wide open. As for software, Sigma's Photo Pro v5.5.3 is now optimized for Raw (X3F) images taken with the SD1 camera and 18-35 lens. DxOMark has recently tested the Sigma 120-300mmm DG OS HSM, and as part of our ongoing collaboration we've added the test data to our lens widget. We've also added a range of Nikon telephoto lenses including the AF-S Nikkor 200-400mm f/4G ED VR, which can be compared with each other and their Canon counterparts. Click through for more details and analysis. Canon has released firmware version 1.2.3 for the EOS 5D Mark III, which fixes four bugs (including one in which the flash may not fire when the shutter is pressed) and adds the ability to adjust LCD brightness when an HDMI cable is connected. For the full list of fixes - and a link to the update - follow the link. Another tiny, rugged, HD, Wi-Fi-enabled video camera on the market may offer GoPro some real competition. Able to capture 12MP photos and 1080p video, the Air Pro 3 has a 160-degree lens that can be adjusted to be less extreme, but still very wide, 140- or 150-degree angle. Learn more on connect.dpreview.com. 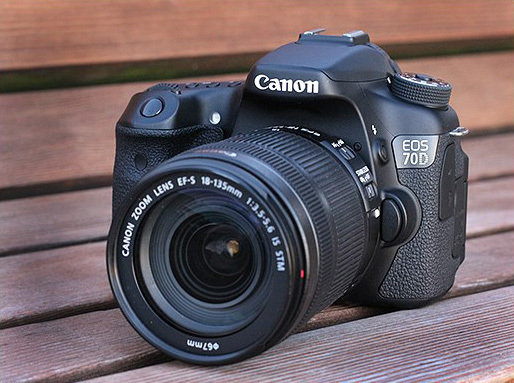 We've just completed our review of Canon's EOS 70D. With its Dual Pixel AF system and built-in Wi-Fi, it's an unusually radical departure for a series that's tended to progress fairly conservatively between generations. So how well does it work? Are these high-tech additions enough to fend off the competition from Nikon's very capable D7100 or Olympus's rather impressive E-M1? Read our review to find out. Nokia is sharing the first examples of its new Raw DNG file format, soon available on both its forthcoming Lumia 1520 phablet and the Lumia 1020 smartphone. 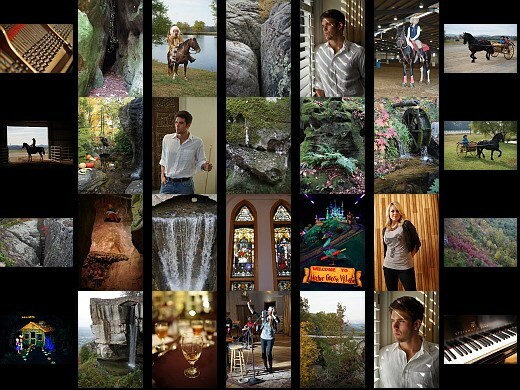 Available for download from the company's blog, Nokia promises that its DNG files are high quality. See for yourself on connect.dpreview.com. Korean lens maker Samyang has announced that it will be offering a series of kits aimed at professional filmmakers, enthusiasts and film schools, consisting of a selection of its videography lenses housed in a protective hard case. Four kits will be available: wide-angle and standard three-lens kits for 35mm and Super 35mm cameras, a general-purpose three-lens kit for APS-C sensor camera, and a wide-ranging five-lens kit for 35mm and Super 35mm lens kits. Prices are yet to be announced. Click through for full details. Roger Cicala of LensRentals is man after our own hearts, never happier than when tinkering with lenses and writing about what he finds, however obscure it may turn out to be. And in celebration of this, he's launched what we'd like to think of as the ultimate photo competition: The First Annual Photogeek Geek Photo Contest. Full of entertaining categories, and with at least one hugely desirable prize on offer, it's open for entries until November 15th. It's Roger's competiton so we're not going to reveal too much here; head over to LensRentals and have a look. If nothing else, it should make you laugh. The Sony Xperia Z1 offers a 1/2.3-inch sensor — the same size found in most consumer compact cameras and significantly larger than the 1/3-inch sensors common in smartphones. The comparatively large sensor is combined with a high pixel count of 20.7MP, a fast F2.0 lens and a physical shutter button. We put the Xperia Z1 through our rigorous testing regimen. Read our review on connect.dpreview.com. We've been fans of Aaron Johnson's comic strip 'What the Duck' for years. 'WTD' is one of the best satirical comic strips in the world, and it's published here every week, as well as being included in our weekly newsletter. Barbed, topical and always amusing, we hope you enjoy WTD as much as we do. Apple's new iPad Air and iPad mini with Retina display got us thinking about what photography apps we'll want to download to our new devices first. We're sharing a few of our favorite iOS tablet apps, from photo editing powerhouses to slick portfolio presentation tools on connect.dpreview.com. Kimio Maki is something of a legend within Sony, and is considered the 'father' of several important products. These include the RX-series of digital cameras - the groundbreaking RX100 / II and RX1 / R - and also the new Alpha A7 and A7R, which bring full-frame imaging to the mirrorless interchangeable lens market. We caught up with him at this year's Photo Plus Expo in New York. Click through to read our interview. We've had a chance to spend some time with Nikon's retro Df digital SLR. This full-frame camera, which is designed to resemble Nikon's classic manual focus film SLRs, is loaded with dials for virtually every function imaginable, and is backward compatible with nearly every Nikon F-mount lens ever made. If you want to see the Df from every possible angle, then click to view our hands-on gallery. Nikon has announced the Df, which combines the design and controls from its classic film cameras with the modern technology of a digital SLR. The Df's body resembles that of Nikon's F-series 35mm cameras, complete with dials for shutter speed, aperture, and exposure compensation. Inside, the Df borrows the full-frame CMOS sensor from the D4 and the AF system from the D610. One thing you won't find on the Df is a movie mode. Click the link for the press release, product photos, and pricing. While Nokia's 41MP Lumia 1020 smartphone has received more than its fair share of publicity this year, the Finnish handset maker also launched two additional phones this year. The Lumia 925 and Lumia 928 are interesting imaging devices in their own right, while software updates have kept last year's Lumia 920 competitive as well. We take another look at the Lumia 900 series in our shootout on connect.dpreview.com.